I was craving for the heavenly taste of spaghetti sauce and pasta, mixed with the comforting aroma of oregano but when I opened my fridge door, the only ingredients I found there were a couple of zucchini, one yellow squash, some mushrooms and a carrots. It did NOT make me very happy! Too tired to go grocery shopping, I was going to give up and try something else but the craving was too strong to give up. It just had to be spaghetti and had to be right then! Hence, the birth of this veggie spaghetti. As it turned out, kids like it too, or so I’ve heard from my mom friends. Perhaps the mix of colors and shape of long shreds make it fun for them. Let me know how your kids like it,…or not 🙂 and feel free to add meat to your spaghetti sauce if you like it better with meat. I’d add a pound of either ground beef or turkey. 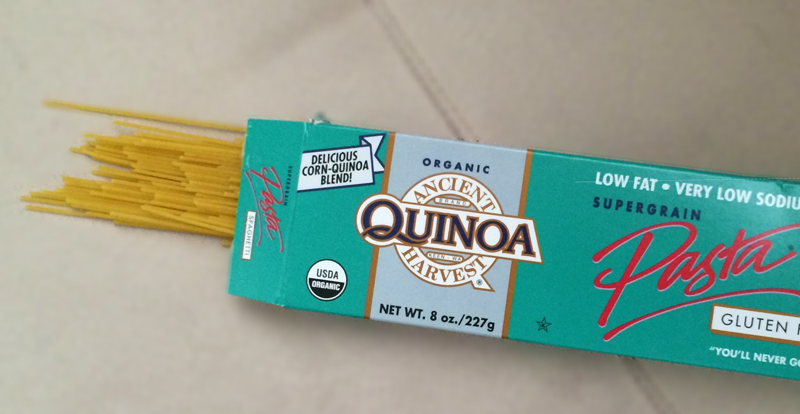 * Please note that I have not been paid or asked to write about Quinoa Pasta, the above is my own personal preference and just an example. 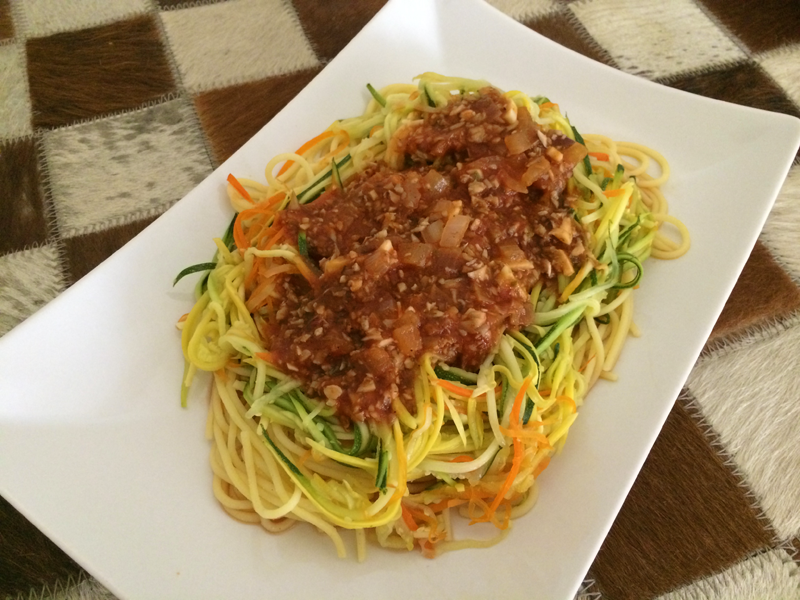 This entry was posted in Food, Health, Life, Main Dishes, Uncategorized and tagged Gluten Free, Health, Mushrooms, Recipes, Spaghetti, Veggie, Zucchini. Bookmark the permalink. ← An Original Foodie is changing looks! I really could read about this all day!! With a little luck you have an RSS feed I can also sign up to. I had been looking all over the net relating to stories concerning cooking chicken recipes.